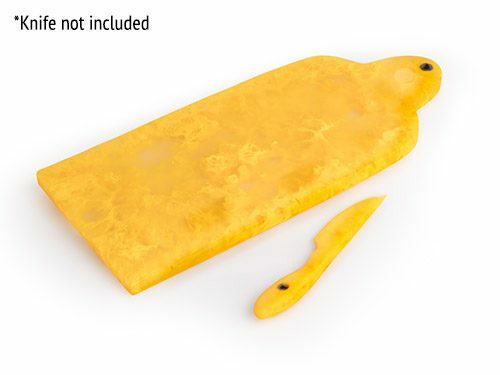 Includes 1 Resin Cheese Board Celebrate the exquisite creation of cheese – most of us adore it!!! 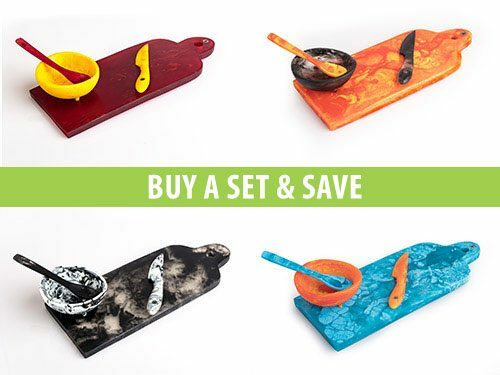 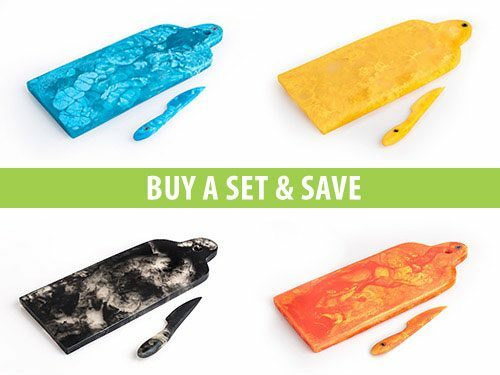 Handcrafted using durable resin, each piece is an absolute ‘One Off’ and will last a lifetime. 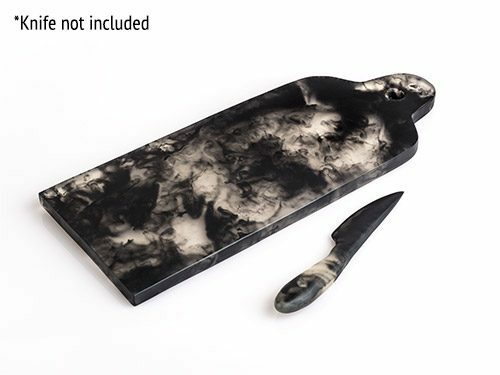 The perfect gift when paired with 1 of Neolithic’s resin cheese knife – a stunning, stylish gift. 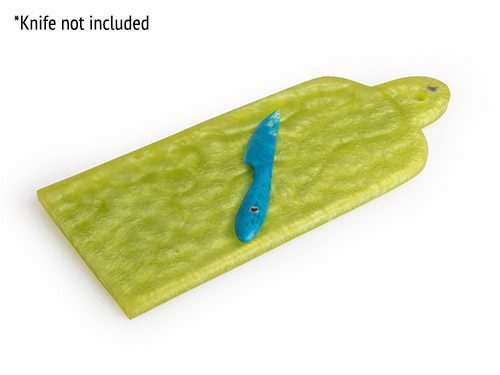 Ideal for the person that has EVERYTHING. 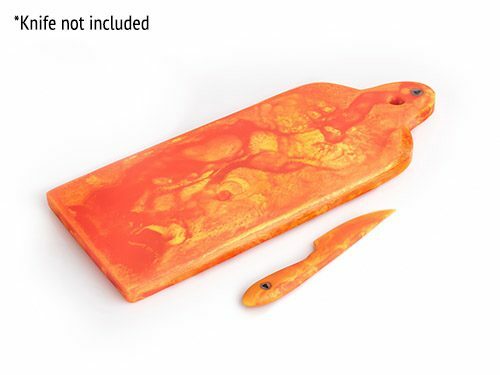 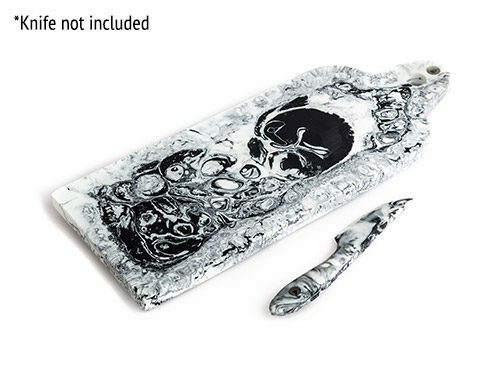 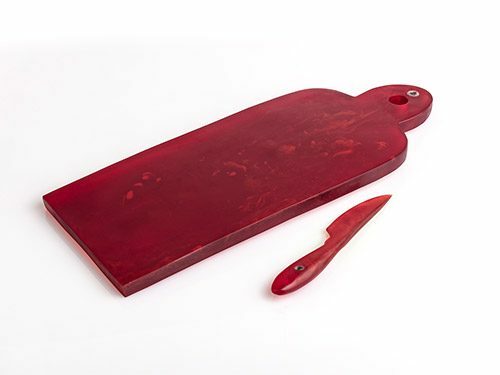 Dimensions: 1.2-1.5 thick x 28-29cm L Weight: 1kg approx Note: This product does not include the knife. 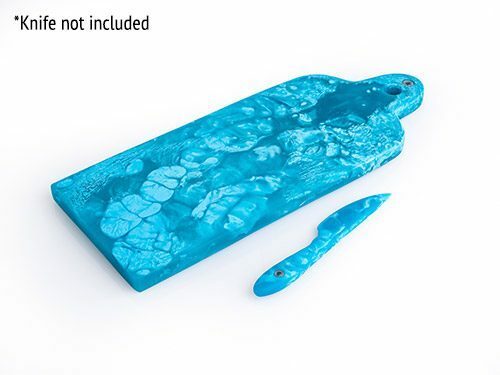 To get the knife you must buy the set.